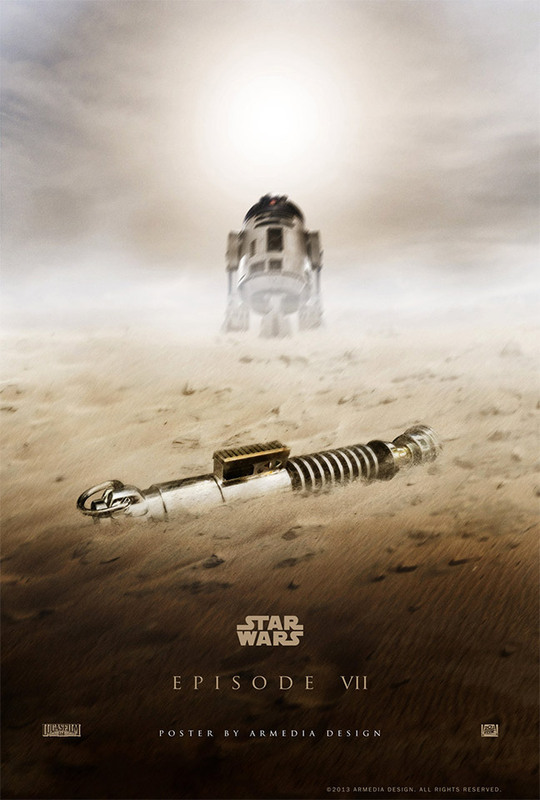 This awesome fan-made poster for the upcoming Star Wars: Episode VII film was done by Armedia Design. Is that R2-D2 finding Luke Skywalker’s lightsaber? It’s hard to say … it’s probably time for a rewatch of the original trilogy to prepare for Episode VII.